The ruins of the Juan Godoi village of Chañarcillo mines still show the magnitude of the mining district. . . .
Descubridora - Mina Dolores 1 - Dolores 3 - La Colorada - Bocona - Santa Rosa - San Francisco - Constancia. From the famous mines of Chañarcillo, almost nothing remained visible from the outside, an attempt to plot something . 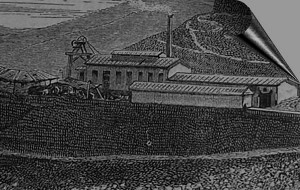 . .
A listing of all historic mines with historical production information and owners . 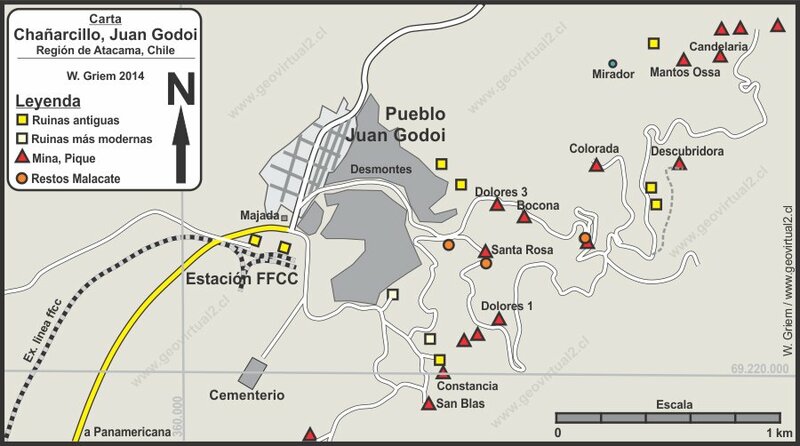 . .
Chañarcillo, one of the most important silver mining districts in the world. 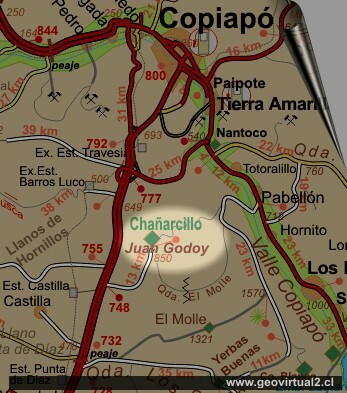 The module of Chañarcillo del Museo Virtual tries to illuminate the history of this famous silver deposit and the mythical village of Juan Godoi (today Juan Godoy). Between 1832 and 1890, then for a period of about 58 years, this place catapulted the Atacama region to the leading edge of world mining. The Atacama Region joined industrialization and globalization. The pages of the history (Here) give a small chronological list of the most important facts of the Chañarcillo area. For more information, especially more detailed information, a list of all mines with active links to production data or geological data is included in "Pertenencias". 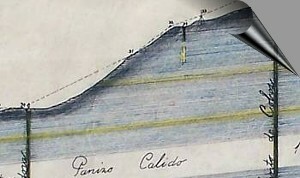 There are some historical texts, for example a text on the apires and barreteros of Chañarcillo de Gilliss, 1855, an interesting document on life in mines of the time 1855. As we know, industrialization and technology have shown an unimaginable increase over the last 150 years. For example, the amount of silver produced worldwide in 1850, today Chile produces in a single year - Chile is only number 6 in the current ranking of silver production (2003): Chañarcillo, with its production rate of 1869, today would contribute only 3.4% of Chilean silver production extracted throughout the year. Location: 50 km to the S (straight line) of Copiapó. Mineralization: Ag (silver) in veins and layers.